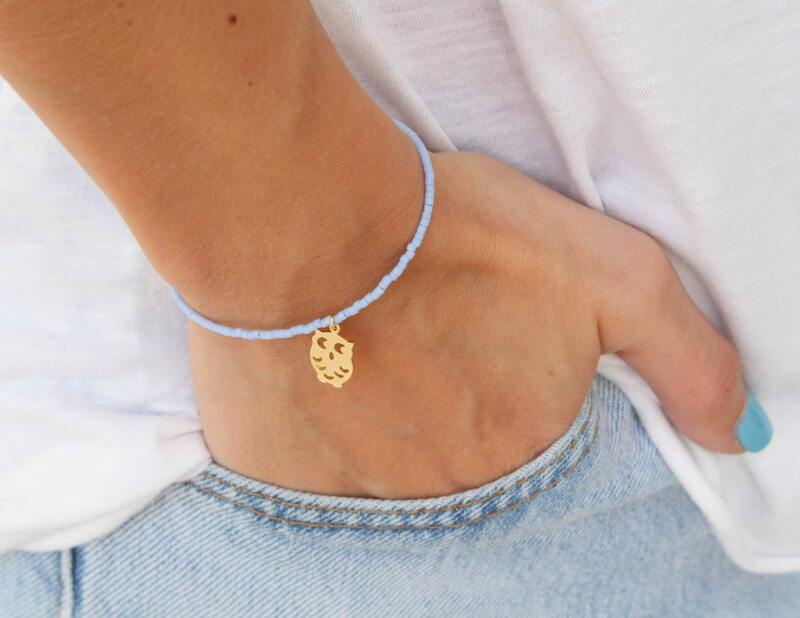 This bracelet is so cute and minimal! 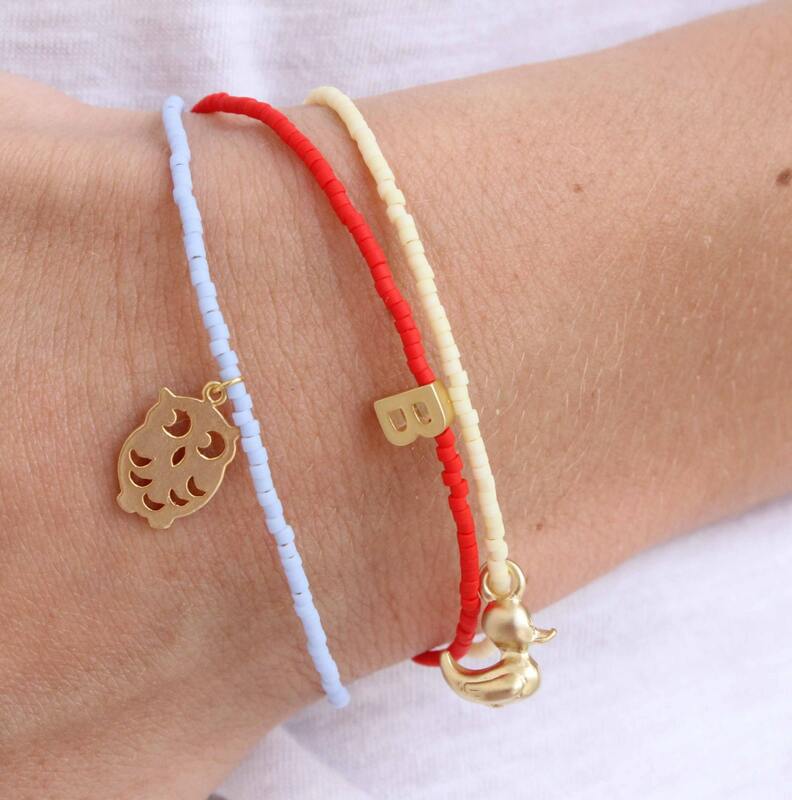 !Wear it on its own or you can stack it with other bracelets!! 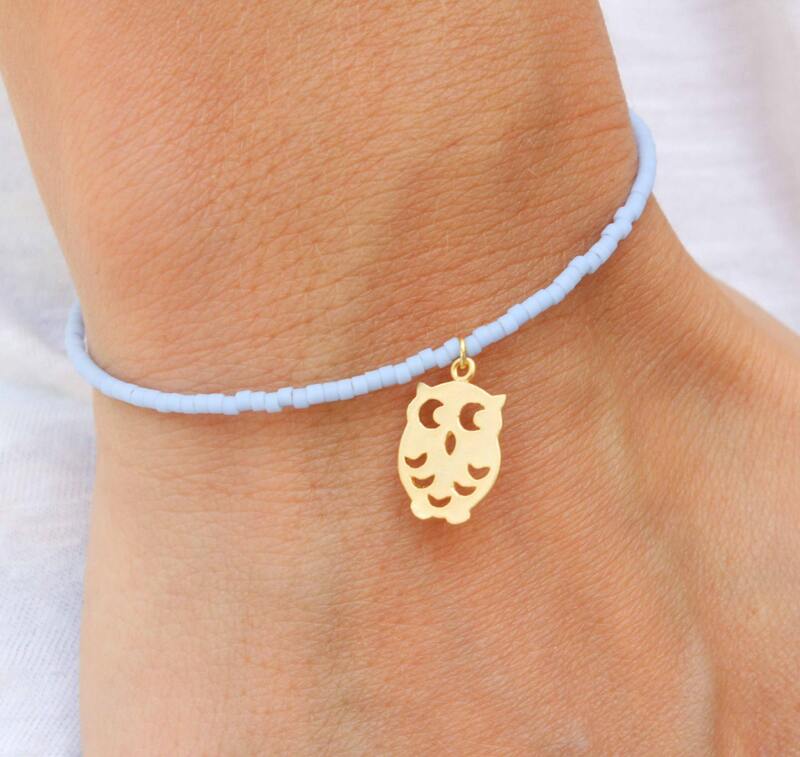 ✪ Gold Plated 14k matt Owl measures 9.5*15 mm. ✪ Gold plated clasp. Bracelet measures about 17cm/6.7" but you can leave me a note with your size! Arrived quickly and made for a cute, unique gift for one of my bridesmaids! Just perfect! Thanks! Keep up the good work!